Today’s post will be on how I see the smoothest way to do prototyping & hobby projects in regards to IoT. What is my main principle in deciding this? I only want to spend time on “business logic” and not waste time on the nuts & bolts of the engine. So what’s the architecture we’ll be using for this? Azure IoT Hub : Basically a 1:1 link with Particle, which will take over once we go to a production grade setup. Azure Stream Analytics : Streaming the ingest data from our IoT Hub towards our various landing zones. Azure CosmosDB : For storing the data we’ll use in our reports. Azure Storage Account : Cheap storage where we keep all the data we collected, and which we could use for our analytics. Now let’s delve into these parts one by one! Did anyone say Azure Active Directory reports in PowerBi? A few days ago an announcement was made that there a PowerBI content pack has been published for Azure Active Directory! So let’s take that one out for a spin today and see what it can bring to the table. This is one of the reasons I really like “cloud”! Integration almost has no entry barrier! Anyhow, in PowerBi, click on “Get Data”. A few weeks back I posted a blog post on how you can leverage “serverless” components for IoT. 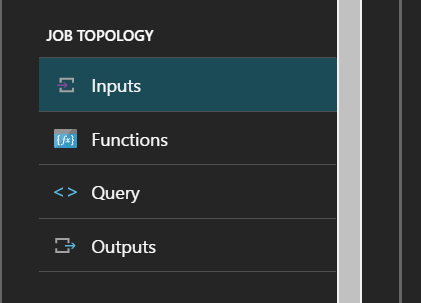 Today I’ll show you what it would mean if we replace the Azure Functions component in that post by Azure Stream Analytics. So the flow between device and event hub is untouched. Though we’ll replace the functions part with Azure Stream Analytics. So how will the end result look? We’ll be using one Stream Analytics job to trigger three flows. One will store the data into an Azure Table Storage, another on will store it as a JSON file on to Azure Blob Storage and another one will stream it directly into a PowerBi dataset.